Super Duper Publications recently released two new fun decks. When SD offered to let me review them I eagerly said ‘yes’! Am I the only person who loves a fresh tin of cards? 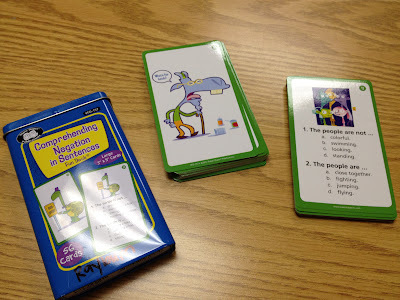 Comprehending Negation in Sentences was developed to practice negation using the word ‘not.’ The tin includes 56, 3”x5” cards with illustrations. 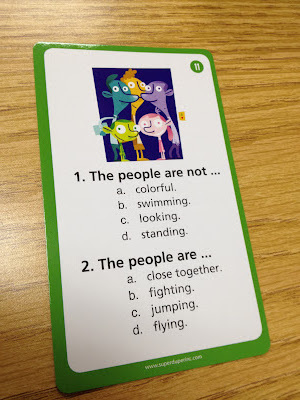 Negatives: The cards only feature negation for ‘not.’ I would have loved to see a few other options within the fun deck for using negation (ie: never, no). Comprehending Negation in Sentences is available from Super Duper Publications for $14.95. 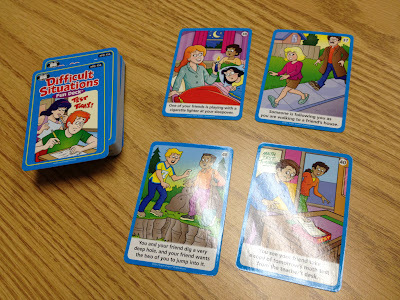 Difficult Situations is a fun deck for problem solving , sequencing, reasoning and inferencing skills. 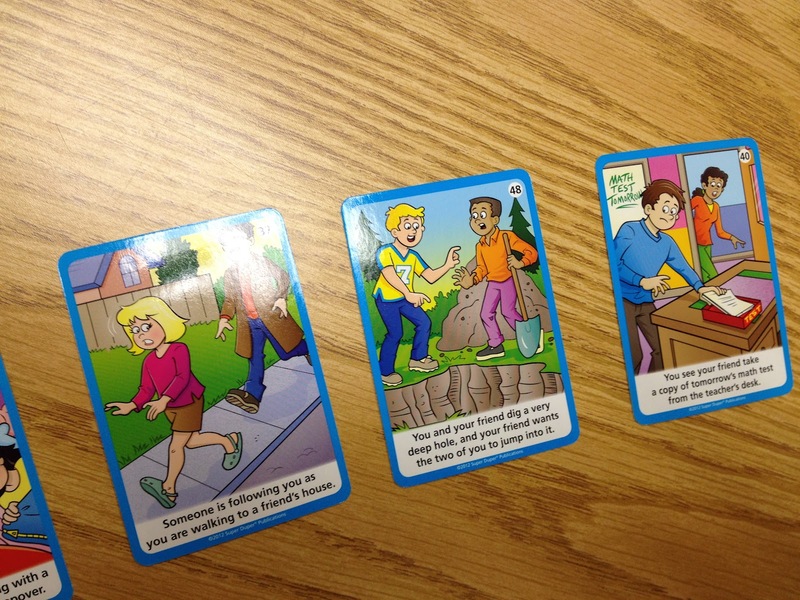 Each of the 56 cards includes an illustration and prompt for a difficult situation. 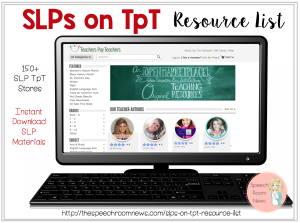 Examples of the prompts include: You overhear a friend saying he stole money from the teacher’s purse. You are supposed to take some medicine after school but don’t remember which one. You are spending the night at a friend’s house, and there are no adults home. You step into the shower, and the water is too hot! Your friend is driving too fast when you are in his car. As you can tell, the cards focus on safety, emotions and reasoning. 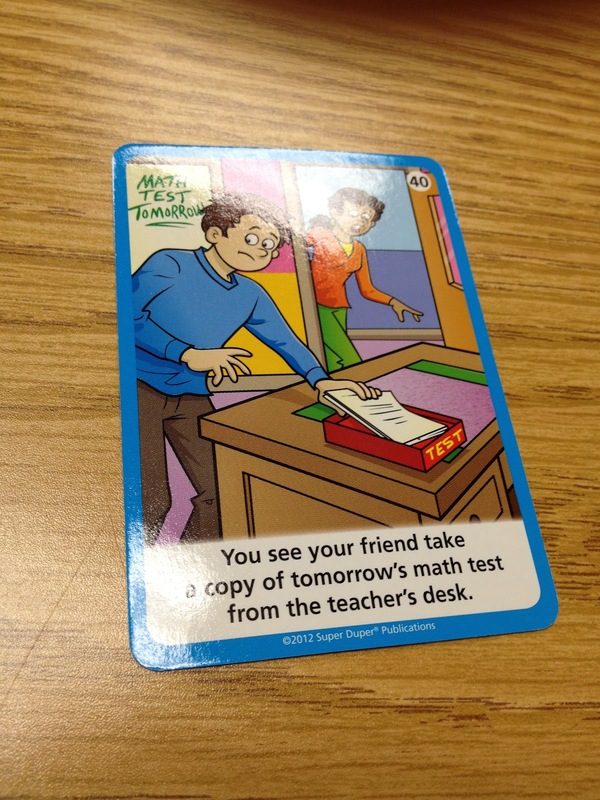 Positive: The cards elicit expressive language which can be used to simultaneously target grammar, sentence structure or thought organization. 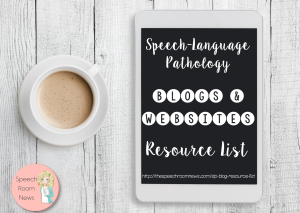 I’m sure they will be used a lot in my social groups too! My favorite Fun Decks are ones that can be used for many different objectives and the Difficult Situation cards meet that criterion. 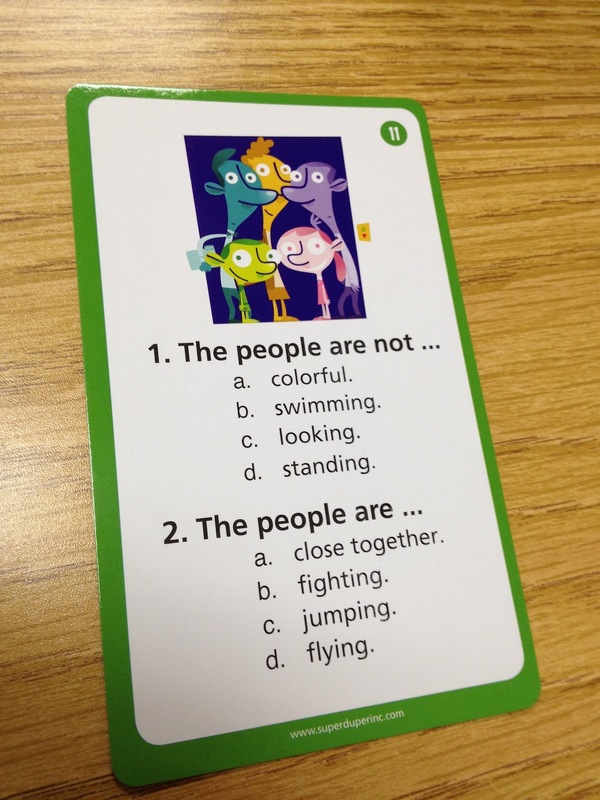 Negatives: SD has the cards listed as appropriate for pre k – 3rd grade. When I was reading through the cards, I think most of them are better off for the 2-7th grade age range. I doubt a third grader will understand the negative connotations for “You are riding with a friend and he is texting while driving.” Some of the prompts are appropriate for younger kids (‘You are playing outside and when you hear loud thunder and see flashes of lightning.”) but many of the suggested topics won’t be applicable to my pre-k-3rd graders. Difficult Situations is available for $12.95 at this time. Super Duper Publications provided me with copies of these items, but no other compensation was provided. The opinions are this author’s. « Candy Land Language PRESCHOOL Edition.